Thank you for visiting our website. 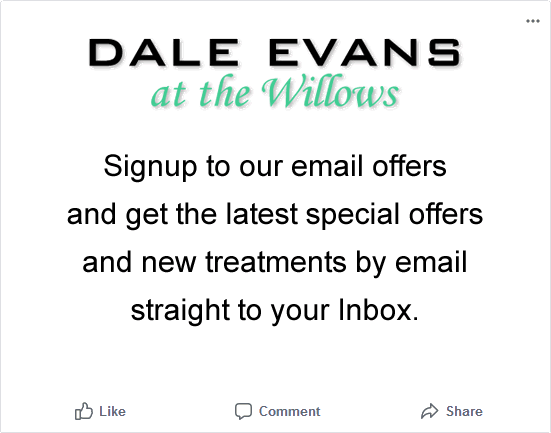 The following principles govern the use of the information provided by you to Dale Evans at the Willows via our web site. 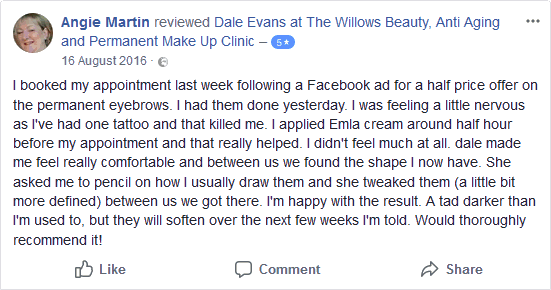 * To enable Dale Evans at the Willows to provide services and products most relevant to you. Dale Evans at the Willows will keep all information confidential and any information collected by Dale Evans at the Willows is protected by security procedures in the storage and disclosure of information that you have given to us, to prevent unauthorised access, as required by the Data Protection Acts 1994 and 1998. 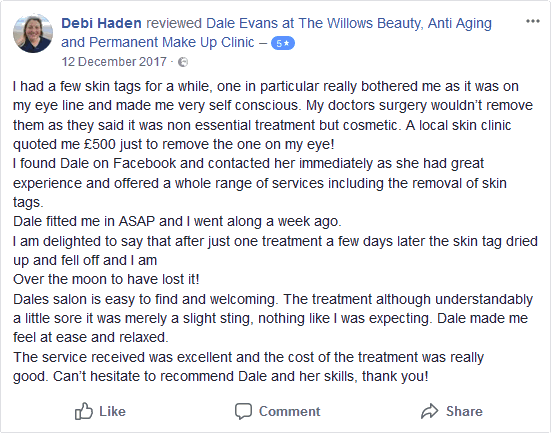 Dale Evans at the Willows does not authorise the transfer of information to countries that do not provide the same level of data protection as the UK. According to EU law we are required to inform you about any cookies we may have transferred to your computer. A cookie is a small piece of information sent from this website to your browser for storage on your computer. daleevansbeauty.co.uk These are simple cookies used by this website to identify your unique session on the website. Typically used to maintain the integrity of your session while transacting information with a website. VikCookiesPolicy Vik Cookies Policy: When you click "OK" on the Cookie Control user interface, a cookie is set in order to remember your preference. __utmz We use StatCounter to monitor traffic levels, search queries and visits to this website. Any e-mail addresses/ names left in comments or mentioned in e-mails sent to us will be kept private and not sold to anyone.